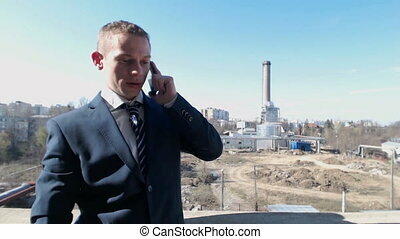 Businessman talking on phone at business lunch at a restaurant. 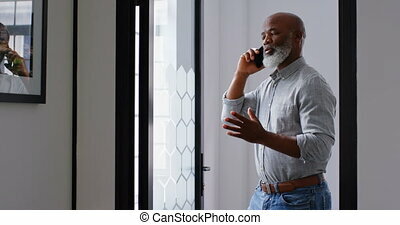 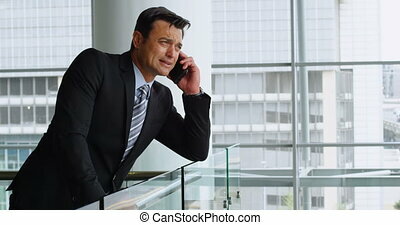 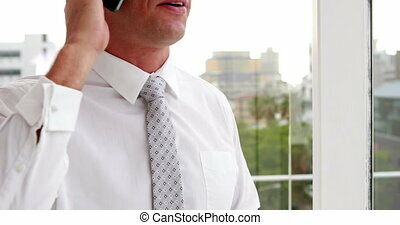 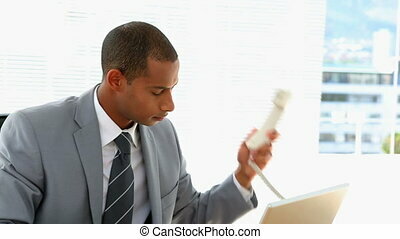 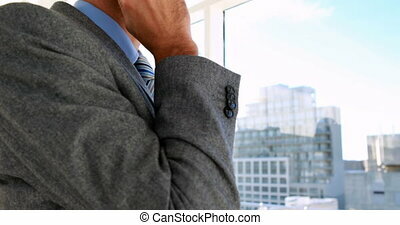 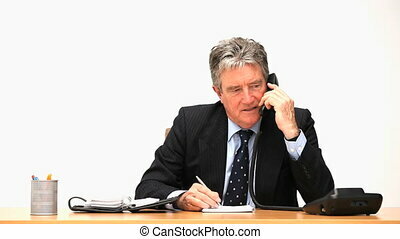 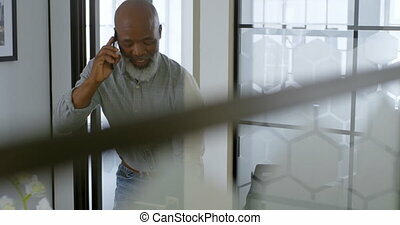 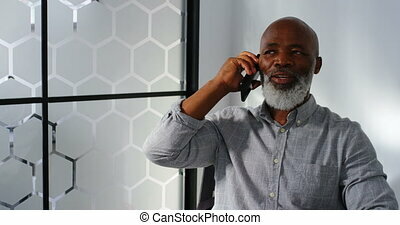 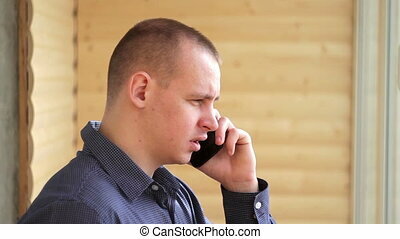 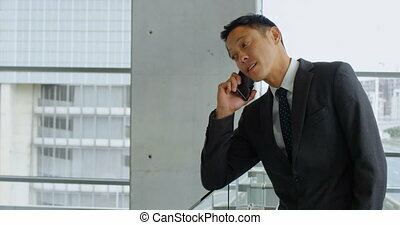 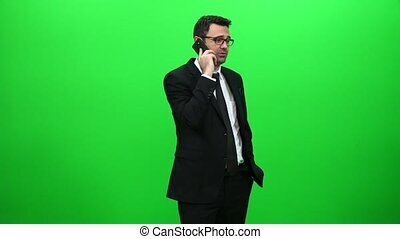 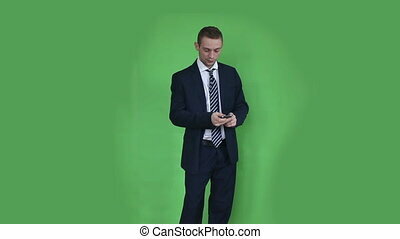 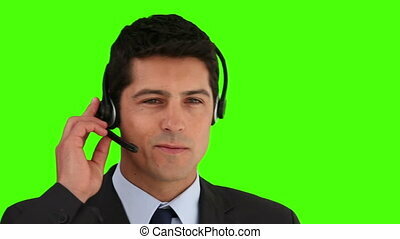 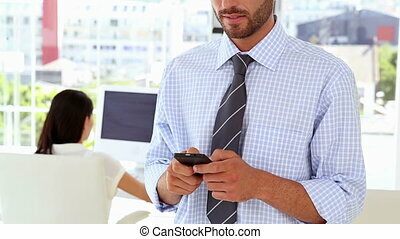 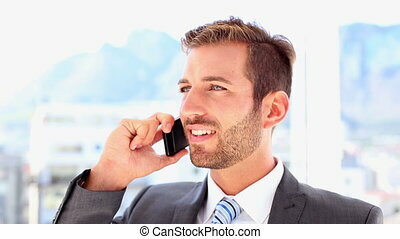 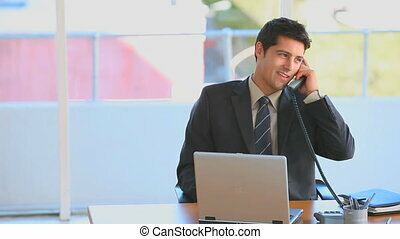 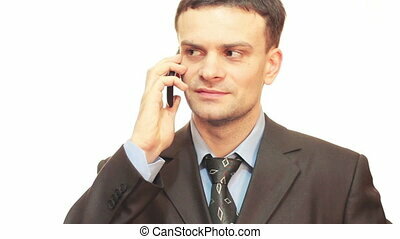 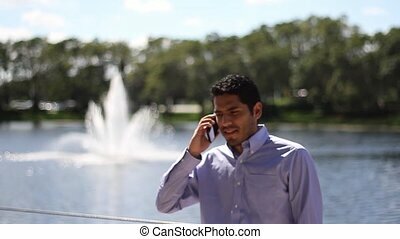 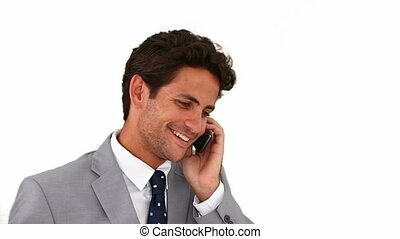 Handsome businessman talking at phone. 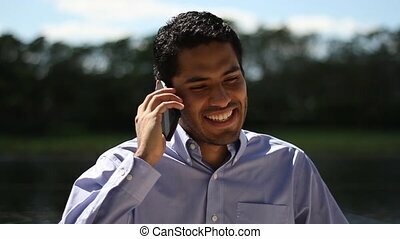 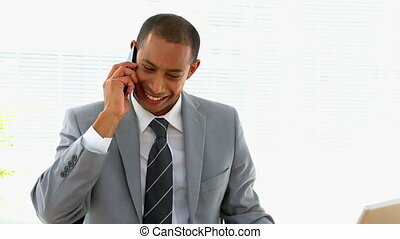 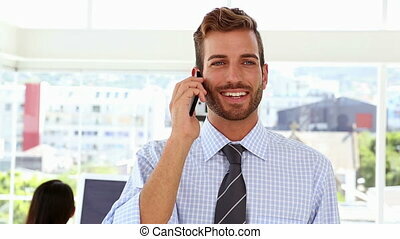 Happy businessman talking at phone. 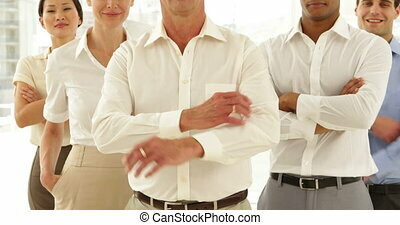 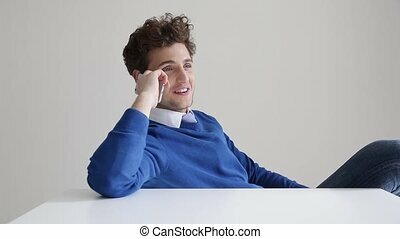 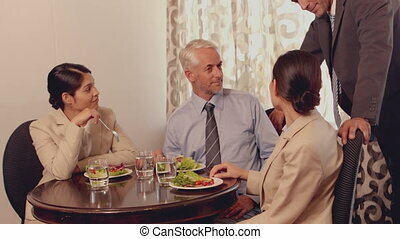 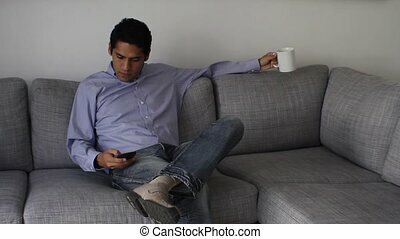 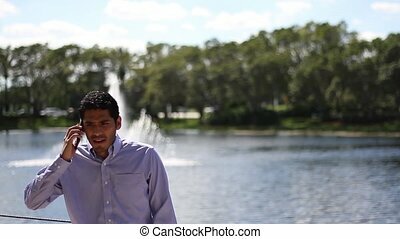 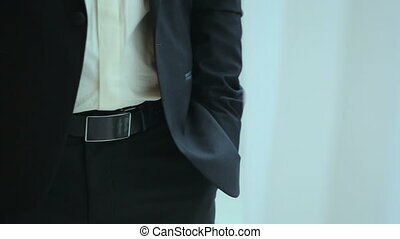 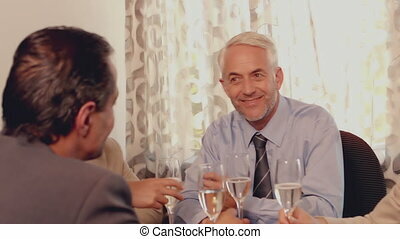 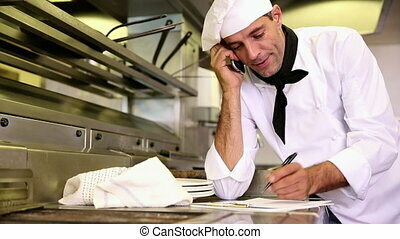 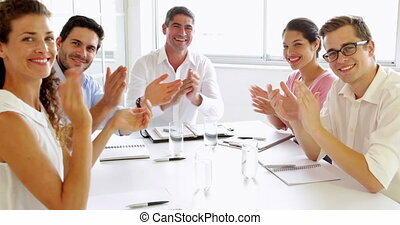 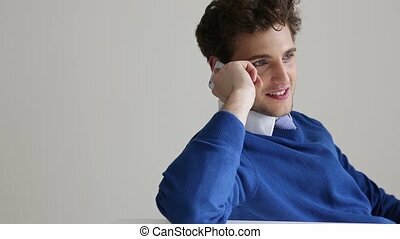 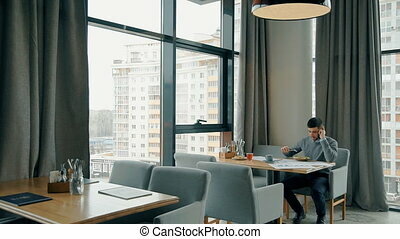 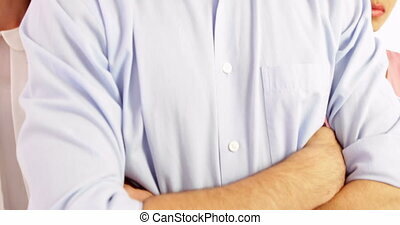 Successful businessman is talking on phone during business lunch at cafe table, young man makes call, enjoys delicious dish at desk by panoramic windows. 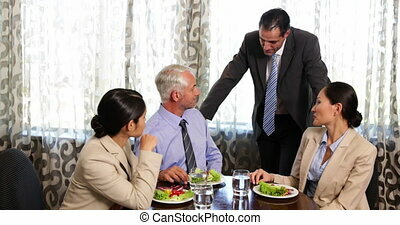 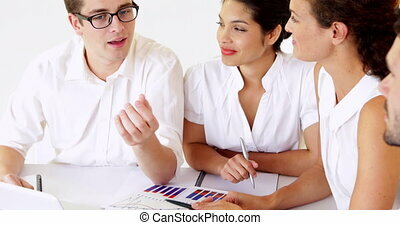 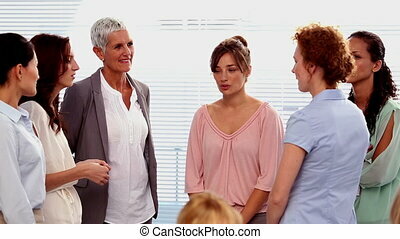 Concept: good dinner, entrepreneurship, communication.